Steven Cutler focuses his practice on developing and implementing sophisticated state, federal and international tax and estate planning strategies. He regularly provides counsel to individuals and closely held businesses with respect to a wide spectrum of comprehensive tax, estate planning, asset protection and business-related matters. This includes corporations, partnerships, limited liability companies, and other entities. Mr. Cutler has experience in handling business and tax structuring, choice of entity, family wealth transfers, inter-generational planning, and the formation and operation of family limited partnerships and private family foundations. Mr. Cutler's other areas of concentration include probate, guardianship, elder law, and the preparation of wills and all types of revocable, irrevocable and charitable trusts. He provides planning to U.S. citizens and residents for U.S. income, gift, estate, generation skipping and other tax matters, and pre-residency and immigration planning for non-citizen and non-resident investors. 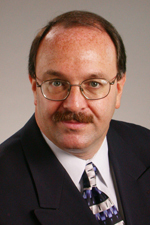 Mr. Cutler merged his practice with Hinshaw & Culbertson LLP in August 2004. Previously he was a founding partner in the law firm of Litow, Cutler & Zabludowski, LLC, with offices in Fort Lauderdale, Miami and Boca Raton, Florida. He is Board Certified through the Florida Board of Legal Specialization and Education as a Wills, Trusts and Estates Lawyer.